With their clean, sensitive reconstruction of the unique, functionalist Palička villa in the Osada Baba complex in Prague 6, architects Ladislav Lábus and Norbert Schmidt succeeded in converting a historically valuable structure into a place for living without damaging its authenticity. 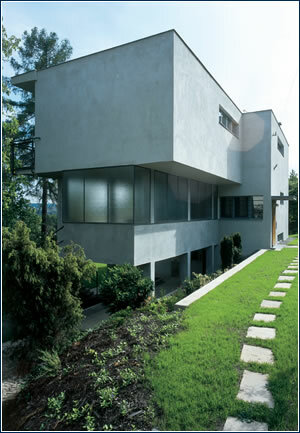 The progressively designed house was conceived by the Dutch architect Mart Stam for the builder Jiří Palička in 1932. An oak “deck” was laid on the original terrace pavement. The greatest change is the glass wall separating the terrace from the living room, which was originally masonry, despite the architect’s intentions. 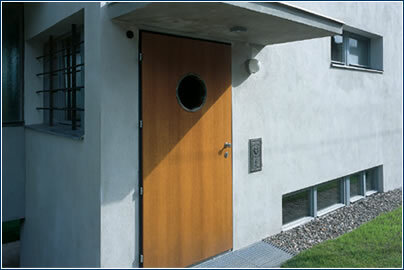 The entrance door has a round window, typical of all of Baba, but Palička originally didn’t have it. 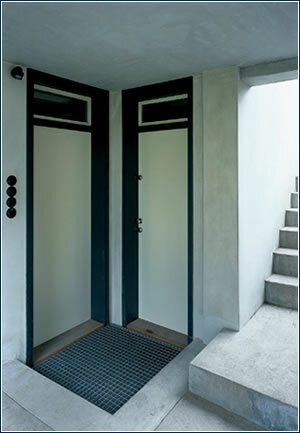 Clearly simple: an entrance to the house with space for tools and garden equipment. 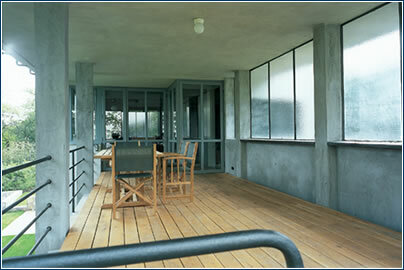 The building is an isolated example of a family home as an open structure, created through the partial use of skeletal construction, and allowing future development. 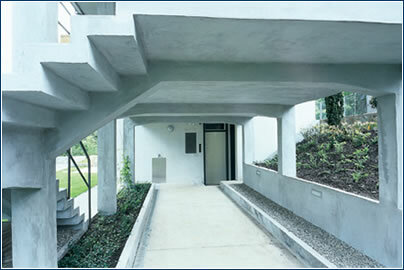 The delicate reinforced concrete stairway with its original banisters allows direct access from the terrace to the garden. which would have undermined the entire structure’s concept. What technical problems did you face during the reconstruction? The search for a compromise between protecting a landmark and today’s standards, when it came to insulation. The reinforced concrete skeletal construction system had columns and ceiling panels on the facing side of the plaster, with no thermal insulation. The peripheral walls are only 20 cm thick, lined with joist filling. However, the facade had to be adapted to meet current thermal insulation requirements and the structure’s value. The insulation’s dimensions were chosen very carefully, and its thickness was adapted to meet the structure’s details. What is it like living in a functionalist landmark? Although it was designed as a home for a family, I think so many stairs were impractical for small children. Also, the large rooms and lack of storage space pose problems. I see the interior design as something of a museum of the past, but living here is very nice. You can spend six months on the terrace, delighting in the unique character of the Baba area and the fine view of Prague. 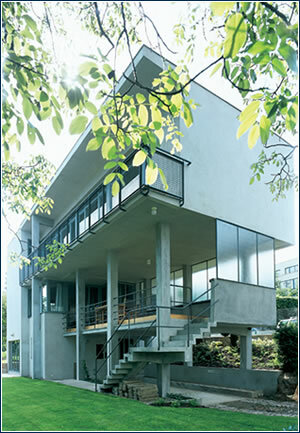 The architect Lábus very successfully raised the building to meet 21st century living standards.